Imaginary friends get a bum deal. Constantly sat upon by clueless adults, blamed for countless broken housewares and spilled beverages, left on the sidelines when things in the real world finally start to get interesting…Yep, imaginary friends deserve way more respect than they get. They’ve been a constant presence in her life since she was three – and I hate to think about the day when she no longer relies on them. I’m not ready for my youngest to outgrow this kind of magic. Perhaps by coincidence, perhaps by stealthy plan, we’ve been reading plenty of children’s books featuring imaginary friends in my house lately. I do have a tendency to use reading to reinforce desirable traits – like creativity and imagination, for example. There are plenty of classic stories with imaginaries, but I’ve been branching out into new territory lately. Here are some of our new favorites – which I’m sure you and your kids will enjoy, as well. 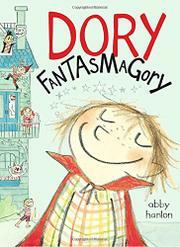 Dory Fantasmagory by Abby Hanlon has taken my house by storm. At 160 charmingly illustrated pages, this chapter book is a must-have for kids in 1st to 3rd grades. Dory is the littlest of three siblings, and wishes her big brother and sister would play with her. Since they frequently have other plans, it’s fortuitous that Dory has her best imaginary friend Mary to keep her company. Together Dory and Mary play exercise club, fake sleep – oh, and meet an oddball cast of other imaginaries such as the evil Mrs. Gobble Gracker, the highly unusual “fairy godmother” Mr, Nuggy, and the ketchup bottle monster. The fantasies, emotions and sibling interactions in the book are so spot-on that it comes as no surprise that the author spent many years teaching first grade. Abby Hanlon clearly knows what makes kids (and their imaginary friends) tick – and she absolutely knows how to write a book worth reading over and over (and over) again. Nothing and No One cannot wait for the sequel! Goldilicious by Victoria Kann is part of the highly popular Pinkalicious series – and the first in the series to introduce children to Pinkalicious’ imaginary friend, Goldie. Not one to do things by half, Pinkalicious dreams up a best friend of extraordinary rarity – a roller skating, ballet dancing, hide-and-seek playing unicorn (who also MAY occasionally drop an imaginary horse apple on brother Peter’s shoe.) 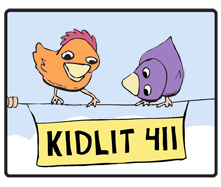 My children also enjoy seeing Goldie again in leveled readers like Pinkalicious: School Rules and Pinkalicious: The Royal Tea Party. The Imaginary by AF Harrold carries us into a brilliantly conceived world of imaginary friends, complete with an evil nemesis who eats imaginaries. Rudger appears in Amanda’s wardrobe one day and becomes her best friend. Only she can see him, but that is not a problem for Rudger – who finds she is (generally) the perfect playmate. But the life of an imaginary isn’t all rainbows and tea parties. There’s a strange, frightening man in a Hawaiian-print shirt lurking. And there’s always the danger that Amanda will outgrow or forget about Rudger. When a car accident knocks Amanda unconscious, Rudger finds himself slipping into nothingness – until he discovers a refuge for imaginaries in a special library. Too intense for my youngest, this slightly creepy, gorgeously illustrated early middle grade novel will appeal to kids from 8-12 (and to parents who love a well written adventure.) The Imaginary would make a fabulous read-aloud for 3rd or 4th grade classrooms, as it’s packed with cliff-hangers, unexpected twists, and tender moments. Last but certainly not least, this 2015 Caldecott Award Winner turns previous notions of imaginary friends on their heads. After waiting (fairly) patiently to be chosen by a real child, our nameless hero leaves the island of imaginary friends. Taking matters into his own hands, he heads to the city and searches for his special real friend. When they finally find each other, our hero discovers his name -Beekle. The art in this picture book is dramatic, outlandish, and absorbing. The story is both deceptively simple and beautifully told. I’d love to hear from all of you! Who are your favorite fictional imaginary friends? Do your children have imaginary friends, too? I’m looking forward to your comments. Katey, You need to read Crenshaw by Katherine Applegate. I managed to snag an ARC at ALA. Beautiful book! Robin – you are sooo lucky! I have been looking forward to getting my hands on Crenshaw – not just for the imaginary main character, but because my eldest took my copy of The One and Only Ivan and won’t give it back. Awards and reviews aside, I know an author is good when Chloe starts hoarding their books! Thanks for commenting. Your daughter is very creative with the names of her imaginary friends. It’s great to know there are creative books that address this topic in a fun way. I just read “This is Sadie,” by Sarah O’Leary. It’s about a very imaginative child and her make believe activities and travels. Your daughter may enjoy this book too. Thanks for the suggestion, Patricia! We will look for This Is Sadie at the library this week. So nice to hear from you. I haven’t broached the topic of Nothing and company in a story yet – but there are several ideas bubbling away in my own imagination that I’m sure will try to come to life soon enough! I hope you find the inspiration to bring your own story to life – imaginary friends needs all the support they can get from those of us in the real world! Thanks for taking the time to comment and share. Sending hugs your way! P.S. Thanks for listing out a few titles I had not researched. 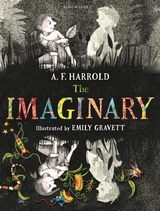 I can’t wait to get my hands on The Imaginary by Harrold. During my research, I also checked out Dream Friends by You Byun and Pingo and the Playground Bully for concept research. I love your research insights in this article and am mentioning the link in the ReFoReMo forum files for imaginary friends concept research. My youngest had a friend named Mr. Nobody for the longest time. It was a very sad day (for me) when Mr. Nobody moved away. : ( Enjoy every moment of this magic while you can. I absolutely will! And I’ll make sure Nothing and NoOne keep an eye out for Mr. Nobody – I’m sure he’s doing fine, wherever it is he went!